I am going to start with the basics. I am not a lawyer. I am not going to word this "DISCLAIMER" page in legal jargon that requires decoding and decryption. I believe in the "KISS" philosophy or "Keep it simple stupid"; and that is not intended to offend anyone reading this page. Anyone that has an interest in the phenomenon called "The Weather" must surely realize there are no written guarantees. Forecasting the weather is a science, albeit an inexact science, that has managed to make significant strides forward over the years. However, anyone with any common sense knows that predicting the weather is like trying to foresee the future. The forecasters at the National Weather Service and National Hurricane Center do a darn good job of preparing us, around the clock, 365 days of the year, for what "Mother Nature" intends to throw at us. That information finds its way into the hands of countless Commercial Weather Forecasting Organizations, TV Meteorologists, Radio Announcers, Newspapers and so on until it reaches our eyes and ears. Unfortunately, there is just no way for anyone to predict where that bolt of lightening will strike, where that tornado will drop from the sky or where that hurricane will come ashore with exact precision. When viewing the weather information from KFLSEBAS1 or any other personal weather station site, the information that is being reported is from instruments that are believed to be relatively accurate. The data (wind speed, wind direction, barometric pressure, temperature, humidity and rainfall) that you are viewing is essentially real time data that is occurring at that time at that specific location. There is no forecast involved with this type of information. However, those of us that have chosen to interface our Personal Weather Stations with a computer and software so the real time data can be uploaded through the Internet and shared with organizations like the National Weather Service, the Citizen Weather Observer Program, Weather Underground, etc. help fill in the voids not covered by the National Weather Service. If you want an Official Weather Forecast then you should go to the National Weather Service to obtain that information. Your hard earned tax dollars help fund this incredible resource and make it possible. Use it! If you want a forecast for the weather in your immediate vicinity then I recommend you poke your head out the front or back door, take a look at the sky in all directions and come up with your own conclusion about what the weather looks like its doing or may do in the near term. You may surprise yourself and join the ranks of thousands of folks that call themselves Amateur Meteorologists! KFLSEBAS1 was setup and designed to continue a 40 year old passion to share real time weather data with folks interested in the weather conditions where ever the road of life takes me. In this case it happens to be Sebastian, Florida. The intent was that it be used for informational and educational purposes by those of you that view this WEB Site. It should not be used for forecasting purposes, or in making decisions that may affect your life, the lives of your family, relatives or friends, yours or their safety, or yours or their property. Please refer to your local Weather Reporting Office branch of the National Weather Service or your local officials for this type of information. There are literally thousands of Weather related WEB sites on the Internet. 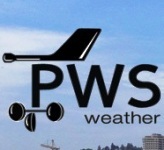 The Weather links that have been provided in the KFLSEBAS1 WEB Site are links to sites that I refer to for research and informational purposes. The external Weather links provided on this web site do not constitute endorsement or approval by me. What I am really saying here is that I am sharing a list of "Personal Favorites" that I use in making decisions regarding the safety and well being for myself, my family and my immediate relatives. What "works" for me may not "work" for you. You have to make that decision for yourself and accept the consequences of your decision and subsequent actions. KFLSEBAS1 is not responsible for the contents on any external link referenced from this website. Great care was given in referencing external sites that provide only Weather related information. Should you find a Weather related link in this site that takes you to a WEB site that for some reason has offensive content, please refer to the COMMENTS WEB Page and share your concerns. Be specific about the nature of the offense. If your findings are verified and there is offensive content, the link will be dropped. COMMENTS sent to KFLSEBAS1 without a return EMAIL address will be deleted without being reviewed. In my zeal and passion to share my Personal Favorites links, I have constructed WEB Pages that use the familiar logos for various Weather related links. So many folks today rely on the visual aids and icons they have come to know and love that it only seemed appropriate to represent the various Weather related links in a true and authentic fashion. After all, the goal here is to share as much information about the weather as possible and to save lives and property in the event of an extreme weather event. I have made a concerted effort to view as many of the sites that I have referenced in an attempt to make sure I haven't stepped on anyone's toes or ruffled anyone's feathers. Hopefully, I have not offended or violated any of the Authors or Owners rules in referencing their WEB sites. If I have unknowingly done so, please accept my sincerest apologies and send me an email via the COMMENTS Web Page and I will remove your WEB link posting or the portion thereof that you find offensive or in violation. The Local Vendors Pick List is nothing more than what it seems. These are establishments that I have done business with over the years. The proprietors of these various establishments have treated me with respect, honesty, courtesy and reasonable fair pricing for the services and/or merchandise they offer. Their reference in this WEB site is done at my discretion and is free of charge. Again, I will make note that what "works" for me may not "work" for you. You have to make that decision for yourself and accept the consequences of your decision. More clearly stated, should you choose to use one of these businesses and are not satisfied, I will in no way be held responsible for the outcome of your decision to use these Vendors. And if that isn't clear enough then I suggest you listen to The Eagles song "Get Over It".